How many times a year do you eat a really DAMN good burger? I mean the kind of burger that makes you stop mid bite and say… wow ?! Well my friends, I’ve got a treat for you today because this Mushroom Turkey Burger is one of those really DAMN good burgers! And, the best part, it’s GOOD FOR YOU! 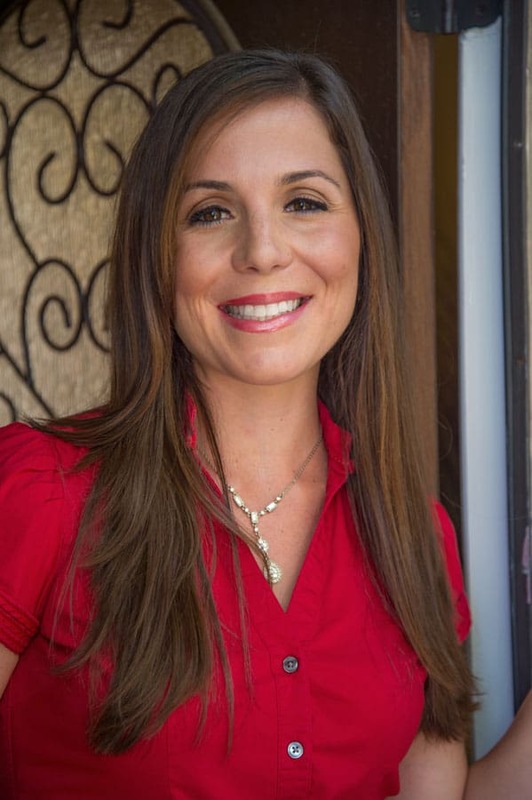 Not only are mushrooms great for fertility, but for your general health, too! 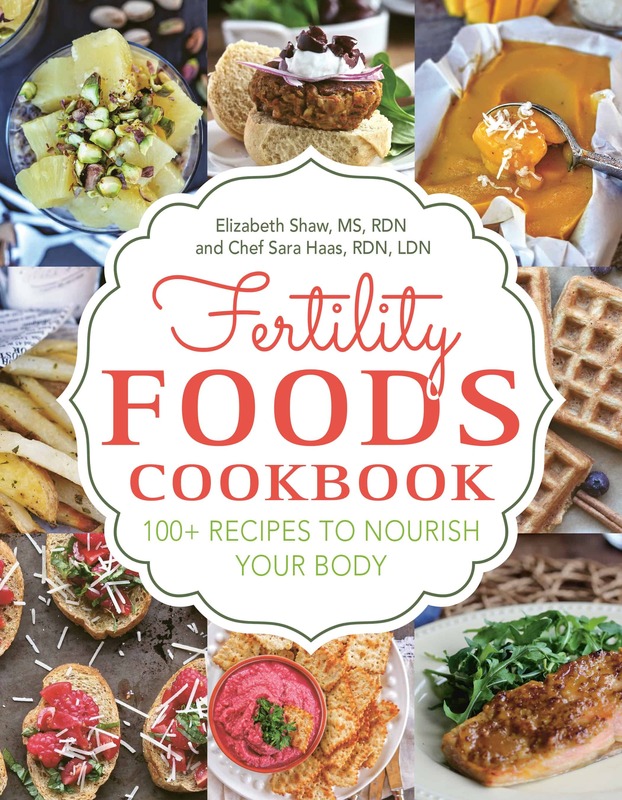 And that’s why this beauty here is just one of the 100+ recipes that’s included in the Fertility Foods Cookbook that was just released with Chef Sara Haas! 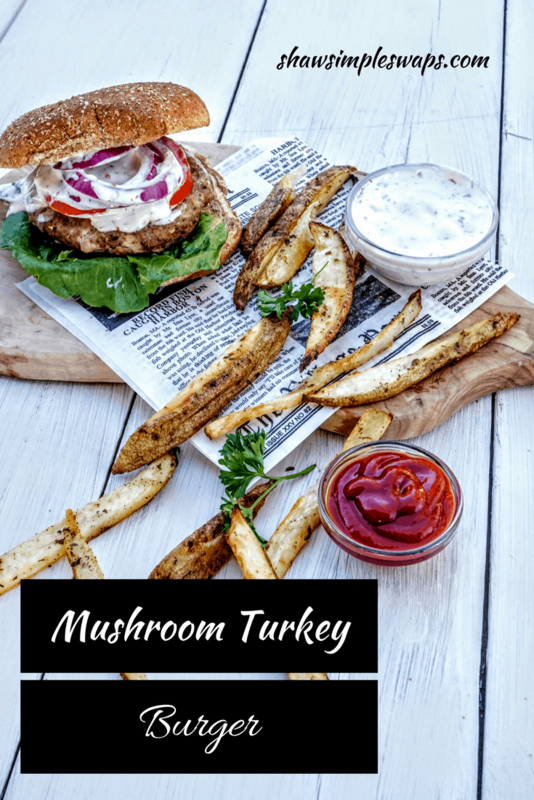 This Mushroom Turkey Burger is filled with a delicious umami taste from the blended texture and taste of the mushrooms and lean ground turkey. Mushrooms are a great way to add flavor to dishes while decreasing the amount of animal protein needed for your dish. You can use this trick in not only burgers, but also meatballs, meatloaf, and heck, even a ground taco mixture! And if you’re wondering how DAMN good this burger really is, just look at my smile here… you can’t make this stuff up! 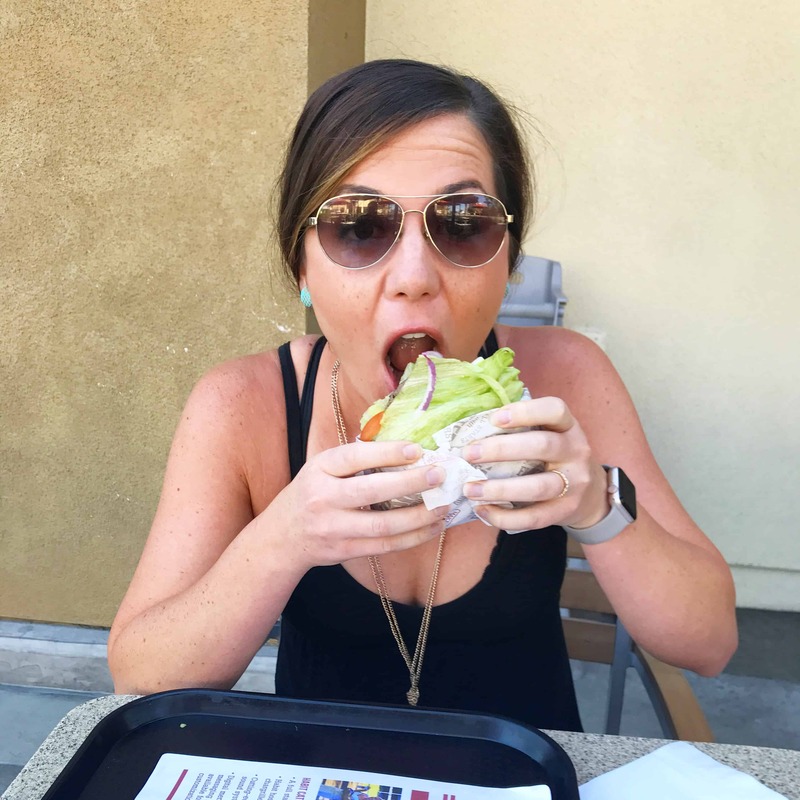 Okay, so maybe I forgot to take a picture of me eating this burger, but it just goes to show that burgers and this Simple Swapper can fit into a balanced and happy, healthy life! Head on over to order your copy so you can whip up this delicious burger and fry combo! 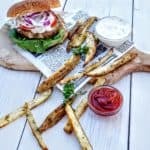 Here’s the Mushroom Turkey Burger recipe, but for the fries, you’ll have to check out the book :)! Finely dice mushrooms and onions and add to a large bowl along with the minced garlic, oregano, black pepper, and salt. Stir to combine. Mix in the ground turkey then fold in the breadcrumbs and egg, mixing gently until incorporated. Form into 6 patties, roughly 4 ½ ounces each. Set a large nonstick skillet over medium heat and spray with cooking spray. Place burger patties on skillet and cook 5 to 7 minutes per side, or until internal temperature reaches 165°F. Preheat oven to 375°F. Place burger patties on a baking sheet lined with parchment paper and bake for 20 to 25 minutes, flipping halfway through cooking. Remove when internal temperature reaches 165°F. 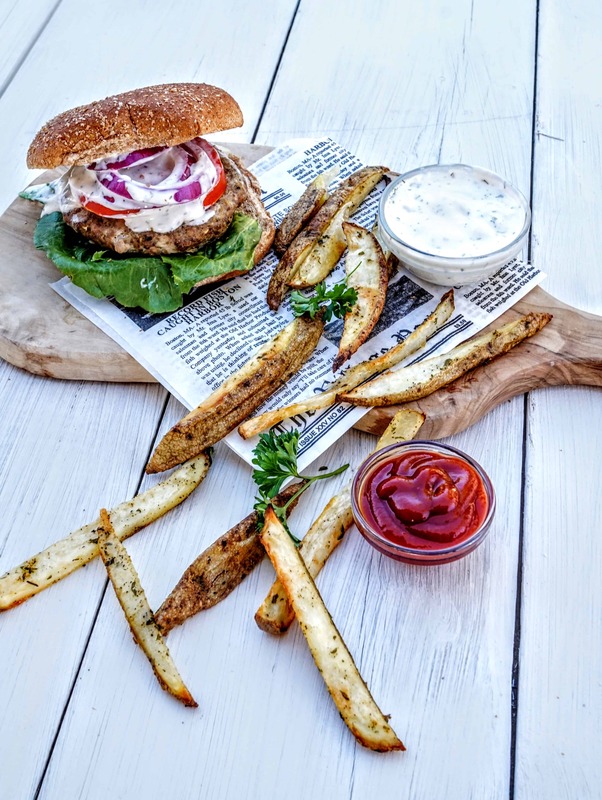 Serve burgers on whole wheat buns topped with leaf lettuce, tomato, red onion, and sauce of choice, we recommend Tzatziki. What’s your favorite type of burger? Loved the addition of mushrooms in this burger – thank you!! love the addition of mushrooms to the burger! Adds in a nice flavor! Best book and best burger!! The Tzatziki adds so much to this one! I can’t believe I’ve had this cookbook for over a year now, it is still one of my favorites! !